"Work and teaching are two different things. Few good professionals are capable of both. In 25 years of teaching I have met many people who possessed a wealth of knowledge and were keen to pass it on. Those that were best at teaching were not always the most reputed in their trade. When I met one of the members of Lumière vivante f, I was director of teaching at the IGTS in Grenoble. The first thing that struck me was his skill at listening. Then I saw how good − and quick − he is at translating a teaching requirement into practice. He designed lessons that complemented and enriched mine, though I was proud of mine. iHe's someone who's capable of getting a message or idea across. He has the charisma to retain students' attention so they remember the essentials. He behaves the same way in his work, be it as lighting designer or technical manager. As a result he's much respected and appreciated by his peers." 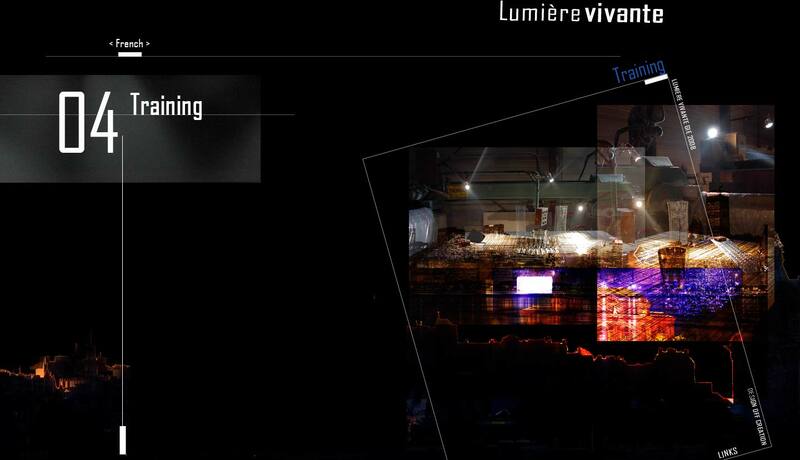 Coordinator, Light department, ENSATT, Lyon.